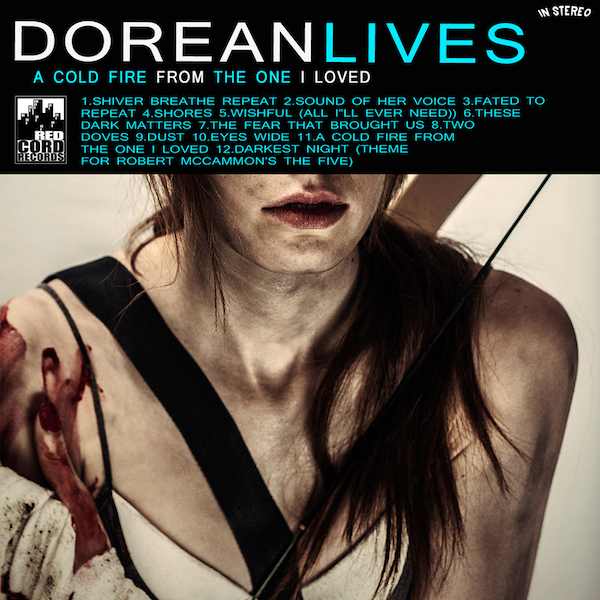 Birmingham, AL based Dorean Lives has broken out of the EP recording stage as the band releases it’s first full length, A Cold Fire From The One I Loved, November 5th on the Red Cord Records label. Dorean Lives began as a healing process for frontman, Logan Freeman, who used his music to heal a loss in his life. Venting his angst on A Cold Fire From The One I Loved wasn’t enough for this artist who expanded his artistry into an “audio/film project to create a fully immersive world where the stories found in the songs live and breathe”. Number One Gun, Disciple, RED, Dead Poetic, and Pillar all come to mind as the album progresses, yet without the uplifting bent typically found on those artists work. A dark tone is created in the opening track, “Shiver Breathe Repeat” on A Cold Fire From The One I Loved. That darkness pervades the album from beginning to end without reprieve. Freeman’s vocals are perfect, with a range and drive beyond most artists. That, plus the big guitars and huge hooks on A Cold Fire From The One I Loved grab you and won’t let you go. Yet it’s not enough, as the disheartening lyrics drop the overall effect down a few notches. A Cold Fire From The One I Loved may have been healing for Freeman, but the album remains as being out of place with today’s musical reality. 10 years ago the emo music of A Cold Fire From The One I Loved, would have stood far above the crowd, but today stands as a testament to a bygone era.